As far as Calgary Dinos head coach Mark Howell is concerned, the name of the game is simple – depth; quality depth and lots of it. After finishing the 2016-17 Canada West men’s hockey campaign with a regular season record of 18-10 – good enough to match the eventual Canada West-champion Alberta Golden Bears – the Dinos fell to their northern rivals in back-to-back one-goal outings in the best-of-three Canada West semifinal. It was that fate which made clear to Howell what he needed to do this off-season. 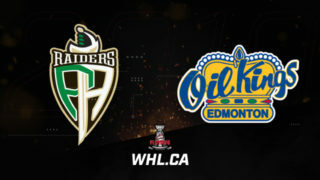 In search of depth, Howell began with his blueline and the key piece he managed to land came in the form of defenceman Aaron Irving – a longtime Edmonton Oil King who went on to finish his WHL career with the Everett Silvertips. The booming slap shot Irving owns deserves significant credit for the 141 points (42G-99A) the Edmonton product put up over his 276-game WHL sojourn. 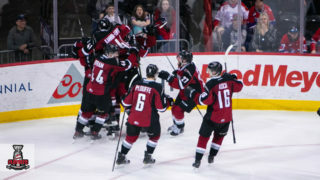 Outside his offensive prowess and defensive reliability, Irving brings with him some quality experience, having been a part of the Oil Kings’ WHL Championship title run and Memorial Cup Championship squad back in 2014. For a Dinos program that hasn’t won a Canada West crown since the 1995-96 season, that championship pedigree could go a long way in 2017-18. While Irving provides two-way punch – both on the scoresheet and in his own end – the other key recruit on the blueline is better known for his heavy-hitting tendencies. Ryan Gagnon, a product of Quesnel, B.C., joins the Dinos following a whopping 320-game WHL career with the Victoria Royals, highlighted by 351 minutes in penalties. The 6-foot-1, 198-pound Gagnon isn’t shy to throw a deadly hip check, so forwards in Canada West will need to be on full alert when he starts patrolling the Calgary blueline in 2017-18. Gagnon also sported the Royals’ captaincy in 2016-17, giving the Dinos yet another quality character in the room. 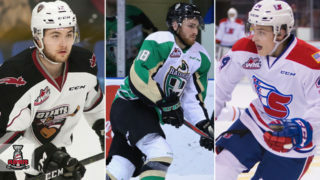 Two more recent WHL graduates will provide their services on Howell’s blueline, with former Red Deer Rebel Colton Bobyk and WHL journeyman Shaun Dosanjh stepping in as well. While priority No. 1 is keeping the puck out of your own net, priority No. 2 is finding a way to bury it at the other end. Scoring depth can be tough to come by, but Howell is hopeful he has found some sneaky additions that will aid in that endeavor. 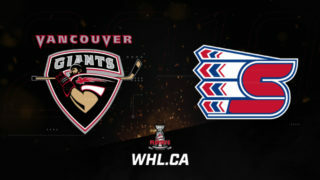 Perhaps the most intriguing of the lot is Riley Sheen, who graduated from the WHL’s Red Deer Rebels at the conclusion of the 2014-15 season. Spending the 2015-16 campaign playing ACAC hockey with the NAIT Ooks, the Edmonton product notched 42 points (16G-26A) in 30 games. The 2016-17 season saw Sheen suit up for the Lacombe Generals of the Chinook Senior Hockey League, where he contributed 30 points (6G-24A) in 21 games and another six points (1G-5A) at the Allan Cup – Canada’s national championship for senior men’s hockey. With the departure of reigning Canada West Outstanding Player of the Year Elgin Pearce, there’s plenty of offense to make up for and Sheen will be leaned upon to aid in that. 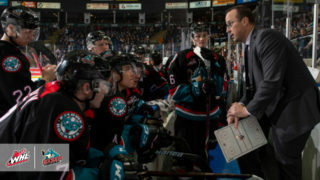 Beyond Sheen, Howell has six new recruits – all with WHL roots – that look to fall into his forward group. Local product Matt Alfaro returns home after a quality career as a reliable two-way centre for the WHL’s Kootenay ICE and Lethbridge Hurricanes. The former Calgary AAA Northstar logged 263 career WHL regular season contests, complete with 155 points (62G-93A), including a career-high 60 points (25G-35A) in 61 games split between the ICE and Hurricanes in 2016-17. Ryan Graham – who was scoring in bunches for the Swift Current Broncos before an injury derailed his final junior campaign – will provide depth on the wing after a 269-game WHL career that saw him log 140 points (72G-68A). Tyler Coulter won a WHL Championship with the Brandon Wheat Kings in 2016 and finished his WHL career with a career-high 30 goals in 66 games during the 2016-17 season. Bringing a yeoman’s work ethic, pivot Tim Vanstone falls in line behind Alfaro and provides an influx of leadership. Vanstone, a product of Swift Current, Sask., is fresh off a 299-game WHL career in which he captained the Prince Albert Raiders for his final two campaigns in the WHL. A heart-and-soul grinder, Vanstone knocked out 94 points (36G-58A) over his five complete WHL seasons. Journeyman Josh Uhrich and Trent Lofthouse, a transfer from the Regina Cougars, provide additional depth up front. One thing is for certain, Howell understands the importance of depth and he knows there is no better place to find quality, coachable players than in the Western Hockey League ranks. Top WHL season: 2016-17 / 71 GP / 18 G / 40 A / 58 Pts. Irving’s slapshot will make the best of goaltender’s shudder. Beyond his heavy hammer from the point, Irving can move the puck with efficiency and gets around the ice with ease. Bringing offensive acumen, the 6-foot-1, 185-pound rearguard can take care of business in his own end of the rink as well. With 42 games of WHL post-season experience, the product of Edmonton has seen it all over a lengthy WHL career and now looks to bring his poise and presence to the Calgary Dinos for the 2017-18 Canada West campaign. Every year 100s of former WHL players attend post-secondary institutions across Western Canada, putting to use their WHL Scholarship money. Last season, more than 200 former WHLers skated for one of eight CW men’s hockey teams, including 51 in the CW championship series. 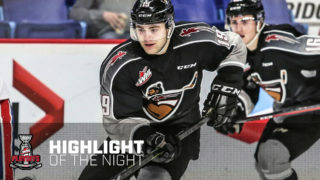 As part of the WHL and Canada West’s ongoing partnership, the WHL powers CW series highlights the latest crop of former WHL recruits who will make the most of their scholarship package at a CW school of their choosing beginning this fall.